WASHINGTON -- John Bolton wants the Republicans to talk about foreign policy this year. And he’s building a trifecta political operation -- a PAC, a super PAC and a foundation -- to push foreign policy into the forefront of the coming presidential primary. Bolton -- who served as the ambassador to the United Nations for a little more than a year under President George W. Bush -- said he isn't picking favorites at this point in the GOP field, though he's publicly ruled out Sen. Rand Paul as an option. But with so many foreign policy neophytes, Bolton wants to push for them to begin thinking through where they stand on international issues. Bolton, who sat down with International Business Times to discuss his PAC and the current state of the campaign, had considered a run himself. And he hasn’t forgotten, pointing out that of all the current and potential GOP candidates, none have both knowledge and experience dealing with foreign policy -- a point he makes with almost a twinge of regret that he’s staying out of this year’s race. It’s going to be a tough fight for Bolton. Voters rarely cite foreign policy as their top issue. Consistently, voters have said the economy and jobs are their biggest concerns. And from there, they tend to get more local, picking education is a key concern. And if poll after poll shows the public concerned about jobs and the economy, then the candidates are likely to focus their message that way. But as the 2016 election approaches, more Republicans are pushing for foreign policy. 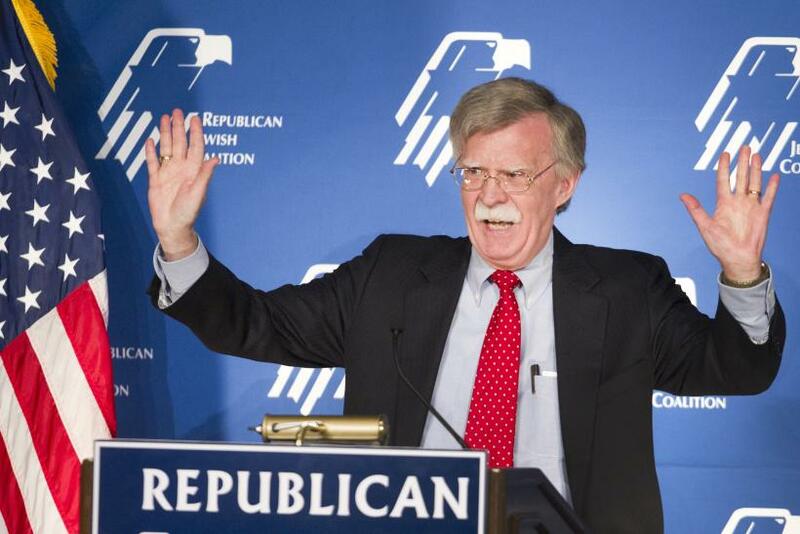 Bolton points to the 2014 midterm elections. A series of foreign affair and national security issues arose as top concerns for voters. The Islamic State group fighters in Syria and Iraq became a daily discussion on the campaign trail, and the spread of Ebola in northern Africa prompted fears about the ability to respond to biological warfare. In 2014, Bolton’s PAC and super PAC raised more than $7.5 million and contributed to 87 House and Senate races. The PACs also made independent expenditures in three Senate races -- backing Arkansas’ Tom Cotton, North Carolina’s Thom Tillis and New Hampshire’s Scott Brown. One of the biggest hurdles for the ultimate GOP nominee will be talking foreign policy on the debate stage with Clinton. She spent four years as the secretary of state and engaged in diplomatic efforts while first lady. Foreign policy is considered one of her strong points and the Republican nominee, who is likely to have minimal foreign policy credentials, will have to find a way to talk with equal authority. Bolton said he hopes to see the GOP candidates already begin to expand their foreign policy understanding. He pointed to former President Ronald Reagan -- who Jeb Bush likes to evoke when asked if governors can be qualified to handle foreign policy -- who kept diaries examining his foreign policy positions long before he made it to the White House.